It can be hard to find the hobby that’s right for you. While Americans spend five to six hours a day on leisure and sports activities, we don’t always spend this time on what some would call an actual hobby. This is an issue because not only can hobbies be relaxing, but creative activities have been found to actually increase productivity. But what is a good hobby to try that is also accessible? Many hobbies – like fishing or golf – require money and gear that make them hard for the average person to try. Don’t worry though. There are many interesting hobbies that don’t need much money or hassle. Read on and discover nine of the best cheap hobbies to pick up. Croquet is one of those games that you just don’t run into regularly. That’s a shame, because it’s fun and easy to do at home. All you need is a yard and a croquet set. Once you pick up the rules, you’ll learn that croquet is a great activity to do with friends and family. It’s almost like mini-golf – though instead of a club and hole, you use a mallet to hit the ball through a hoop called a wicket. This can work as a good party game, or as a way to get yourself and others some fresh air. Some of the best croquet sets are pretty cheap too, so you can easily adding an interesting hobby to your list of things to do. 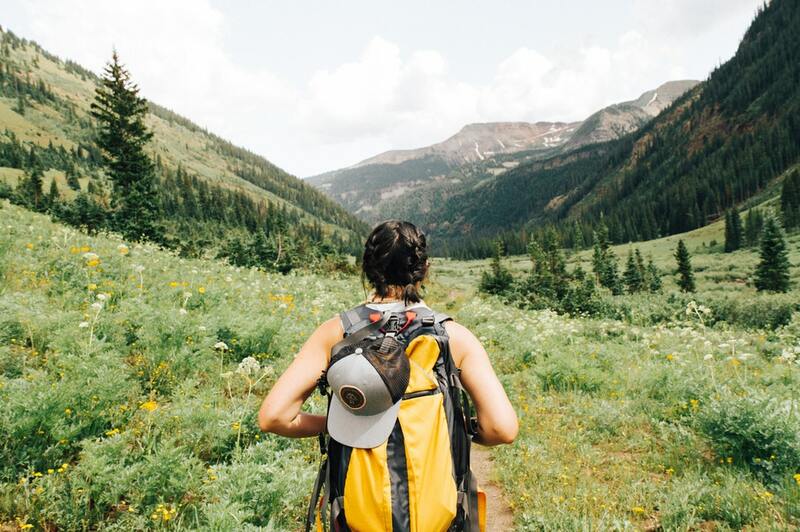 Hiking is one of those outdoor hobbies that are easy to do and don’t require much skill. All you need is a trail and you can set off! This is a hobby that can help you connect more with nature, which can help improve mental health. You can also pair hiking with other activities like camping, fishing, or swimming. Basically, you can include anything you come across on your journey! An important thing to remember though: bring supplies. You should pack enough food, water, and other materials for your journey. Help may not always be close by, so you should be prepared to handle any problems you may experience while hiking. As long as you stay prepared, you can expect to enjoy this great hobby. Writing is one of the best creative hobbies to try. It’s an easy way to get out all those ideas swirling around in your head and either organize them for yourself, or communicate them to the world. What makes this hobby even better is that it’s so open-ended. Writing can be poetry, essays, interviews, stories, and so much more. There are also so many outlets to share your writing, like social media platforms, blogging services, or your own website. This is even a hobby that can make you some money from. People have been able to monetize blogs that they started for fun, while others are able to work as freelance writers. Writing is essentially a hobby that has as much potential as you want it to have. All you need are ideas and passion. Geocaching is one of the more interesting hobbies out there. Basically, this is treasure hunting as a hobby. In cities and towns everywhere people have hidden things in random places and have shared the coordinates for these locations. Geocachers’ goal is to use those coordinates to find these locations. When they do, they either take something or leave something in the location so the next person has something to find. Finding these locations may be as easy as walking around a city, or as hard as hiking through a national park. What makes this hobby great is the community involved. Many people take part, creating geocaches and leaving notes or goodies for their fellow geocachers. If you want to get involved, grab a smartphone and find the nearest geocache. This may seem like a basic hobby, but it’s cheap, easy, and fun. This is an especially good hobby to do with kids. All you need is some thread and some basic braiding skills. However, there are more advanced bracelet designs that you can try if you want to test your skills. Once you get good, you can create small gifts for friends and family to enjoy! While it’s one of the harder hobbies to try, learning a new language has become much more accessible lately. Apps like Duolingo and Memrise offer games and lessons to help you learn vocabulary and concepts from popular languages. The best part is that these apps are free! However, if you take on this hobby, you have to be prepared to commit. Learning a language takes dedication. You can’t just do a couple of lessons and expect to be fluent in a new language. As long as you put in the work, this hobby can be rewarding in many ways. If you’re looking for a cheap hobby to help keep you in shape, jogging is the easy answer. All you need are shoes and a good running route. This is a hobby that is easy to do by yourself or with others, and there’s a huge running community that can support you. It’s also easy to find routes or create your own. You can keep things interesting by changing up your routes while also keeping track of how far you run. By pushing yourself harder and going farther, you can turn this from a hobby into a workout. There also races happening everywhere, so there is more you can do if jogging becomes something you enjoy. One of the more popular outdoor hobbies, gardening can be a great way to get outdoors and create something special. All you need is soil, sun, water, and seeds. Whether you’re interested in planting flowers or vegetables, the seeds themselves are cheap and easy to find. The hard part is actually growing the plants. Plants are just like kids: you should feed them regularly. This means making sure you plant your seeds in an area that will get sun for a good portion of the day, and that you water them regularly. If you don’t trust yourself to remember to tend to your plants every day, then there options like succulents that don’t require as much attention. However, if you are able to keep up with your gardening, then you will be rewarded with yummy food and/or beautiful plants to liven up your home. Arthur said it best: having fun isn’t hard when you have a library card. While buying new books can be expensive, your local library can make reading a cheap hobby. The best part is that there is such a wide range of possibilities. You can find classic novels, popular series, or informational texts on anything from psychology to George Washington. As a hobby, reading is only as limited as your interests. Are you worried about transportation to the library? You may be in luck. Some public libraries are allowing members to check out ebooks, making reading even more accessible. Which Interesting Hobbies Will You Try? There are many expensive hobbies out there. However, these nine interesting hobbies are great ways to spend your free time while not breaking your budget. Still not sure if you’ve found the right hobby for you, or are you looking to spend a little more? Then we have plenty of other hobby ideas you can check out.